At www.mattpalmerguitar.com, we know that the privacy of your personal information is important. We will never sell or share your personal information to third parties. 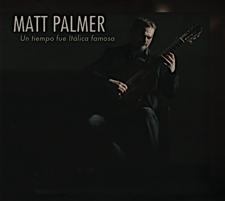 Subscribers to the mattpalmerguitar mailing list, and customers purchasing Matt’s products are assured that their names, email addresses, and other personal information will remain safe. Mailing list subscribers will receive quarterly newsletters - no spam. So please subscribe!